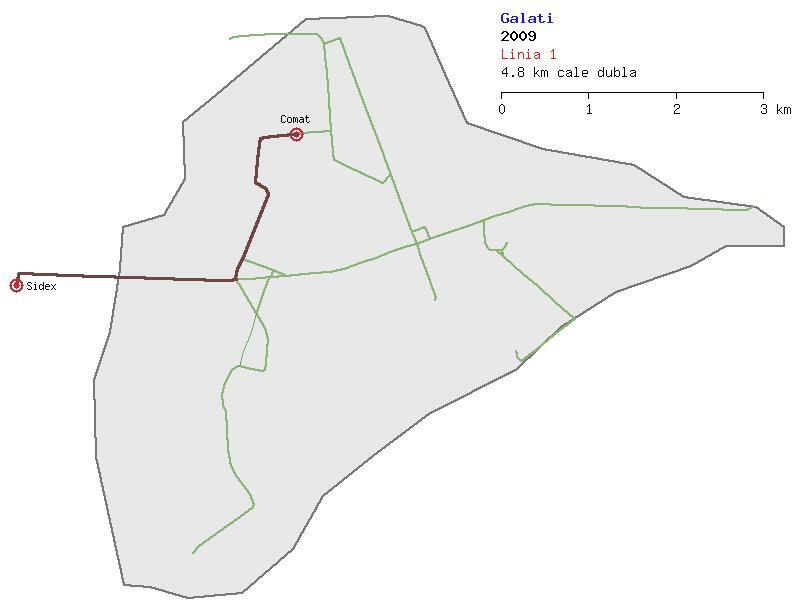 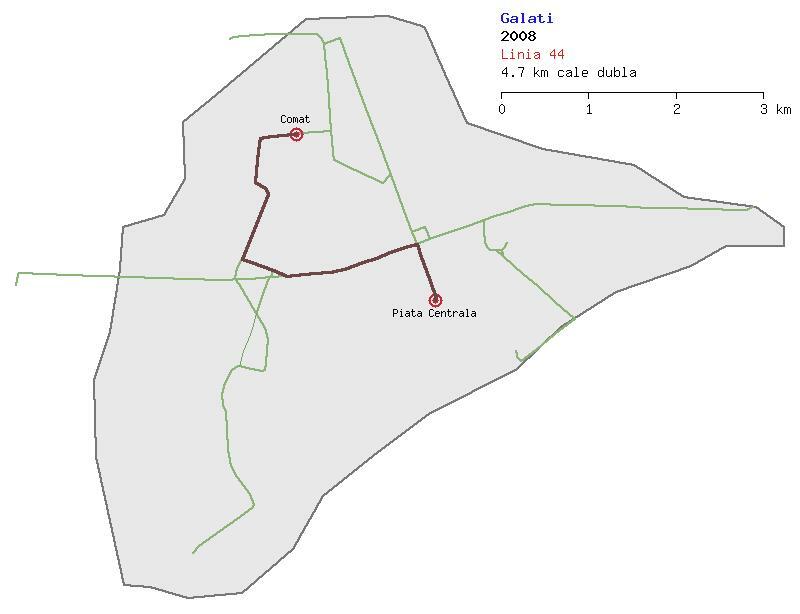 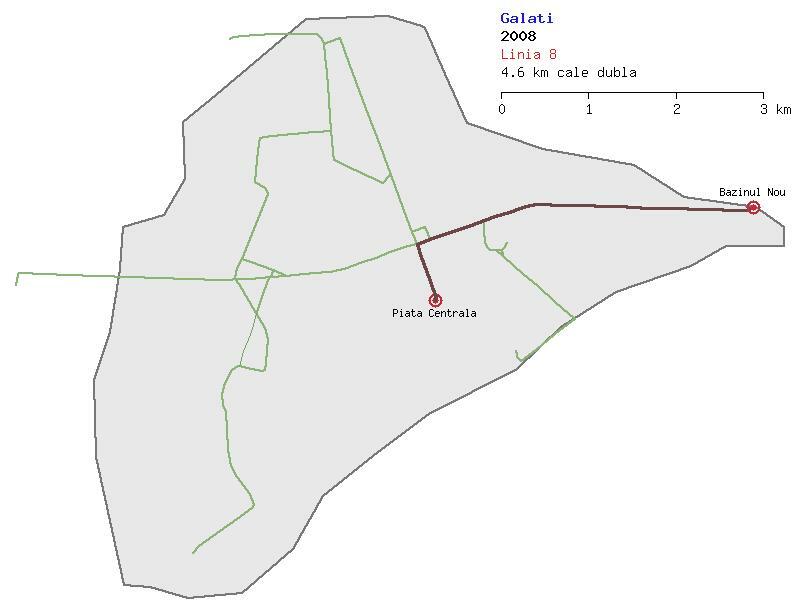 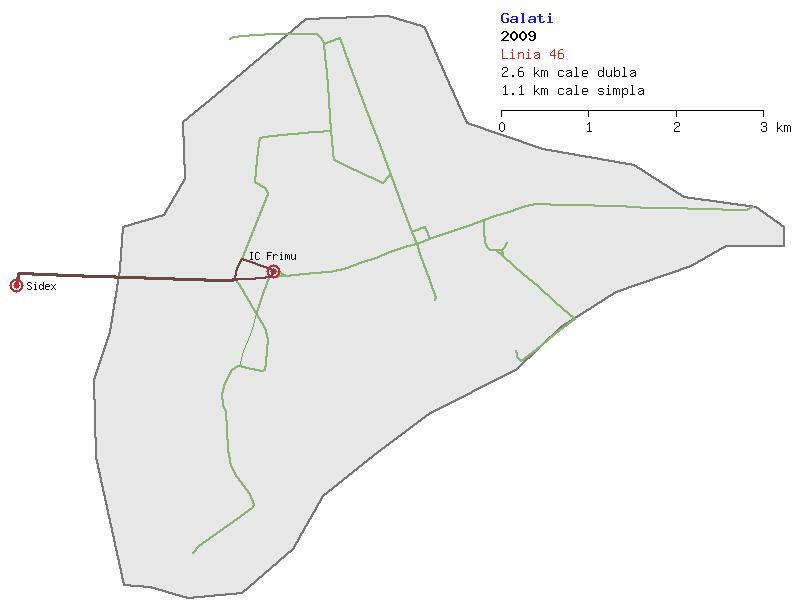 Here you can find a collection of drawings of tram networks from Galati. 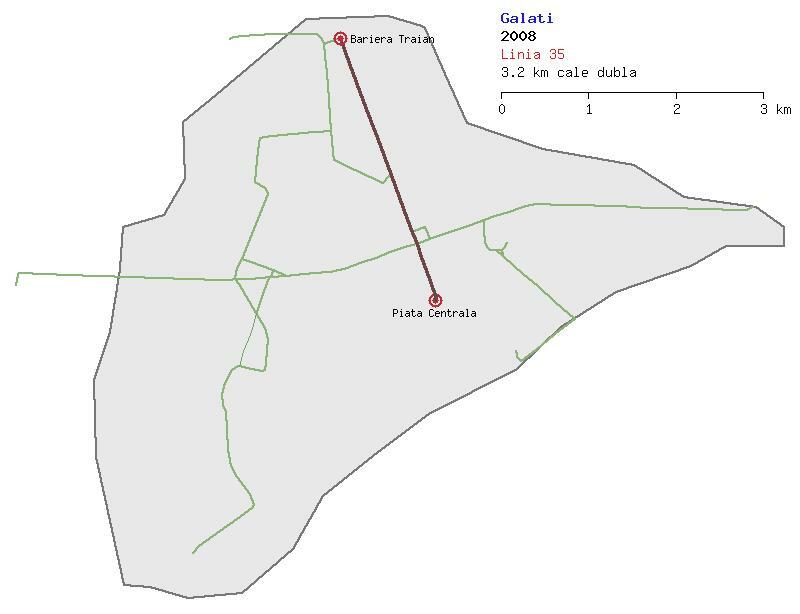 They're drawn based on the aerial and satellite imagery present in the Wikimapia site. Click here to return to the main page with the current situation from all cities. Active network: 12.0 km equivalent (11.7 km double track, 0.7 km single track). 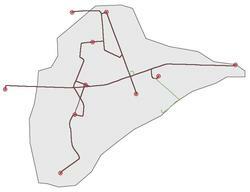 Inactive network: 12.0 km double track. 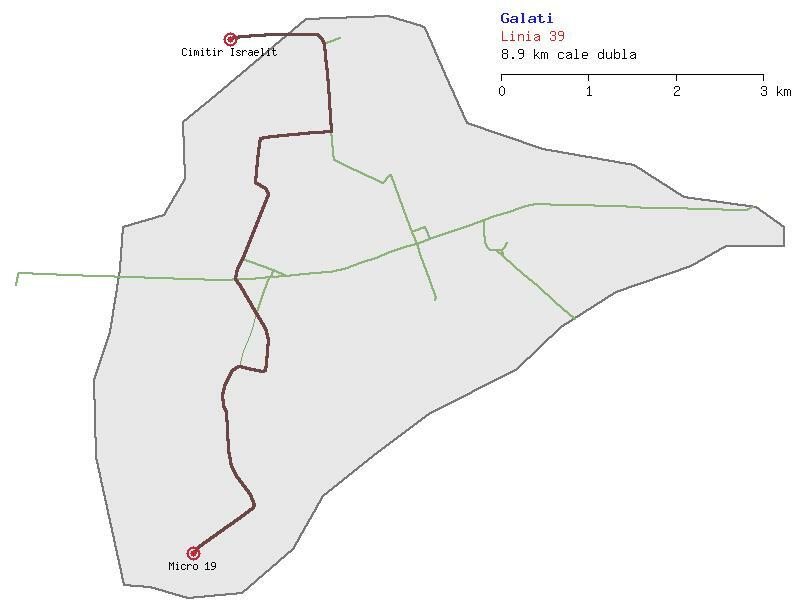 Total network: 23.9 km equivalent (23.6 km double track, 0.7 km single track). Routes: 1(4.8 km), 3(6.7 km), 39(8.9 km), 39b(7.9 km), 40(6.3 km), 43(3.9 km). 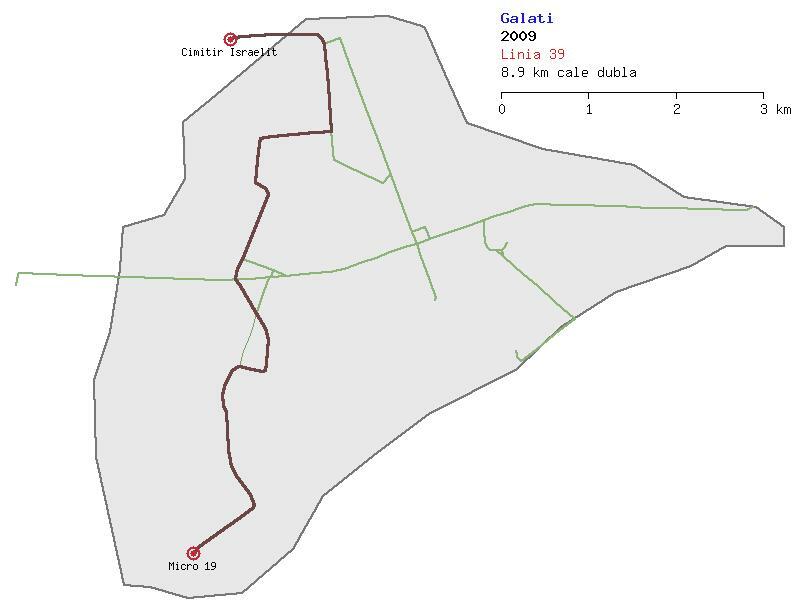 The longest routes are indicated in green while the shortest ones are in red. Situation during the first half of 2009. Active network: 20.4 km equivalent (20.1 km double track, 0.7 km single track). Inactive network: 6.1 km double track. Total network: 26.6 km equivalent (26.2 km double track, 0.7 km single track). Routes: 1(4.8 km), 3(6.7 km), 5(9.8 km), 6(5.5 km), 6b(6.3 km), 7(6.5 km), 8(4.6 km), 36(5.4 km), 39(8.9 km), 39b(7.9 km), 40(6.3 km), 42(8.0 km), 43(3.9 km), 44(4.7 km), 46(3.2 km). 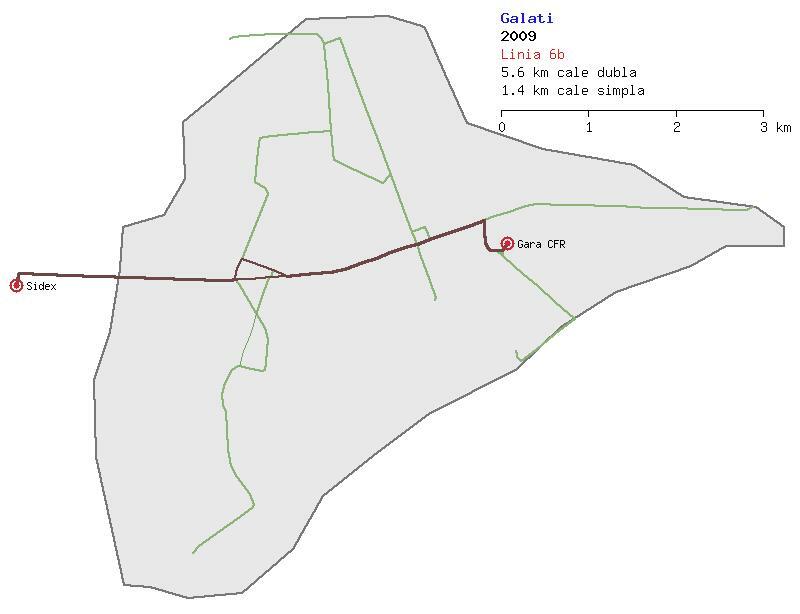 Situation at the end of 2008, before works on Str. 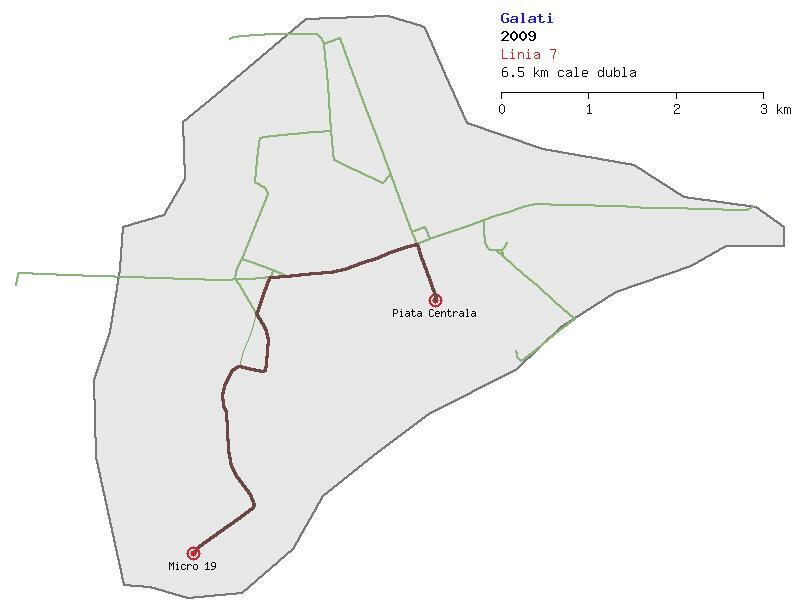 Traian. 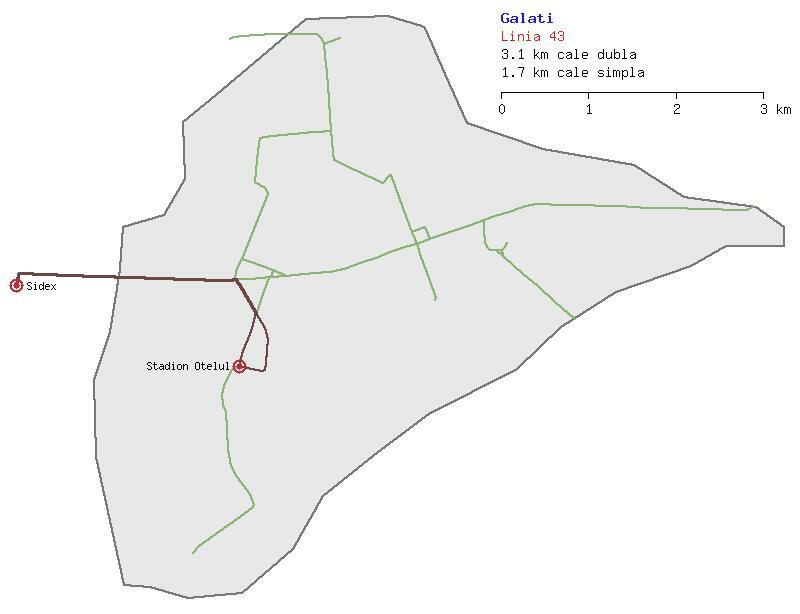 Active network: 24.0 km equivalent (23.7 km double track, 0.7 km single track). Inactive network: 2.5 km double track. 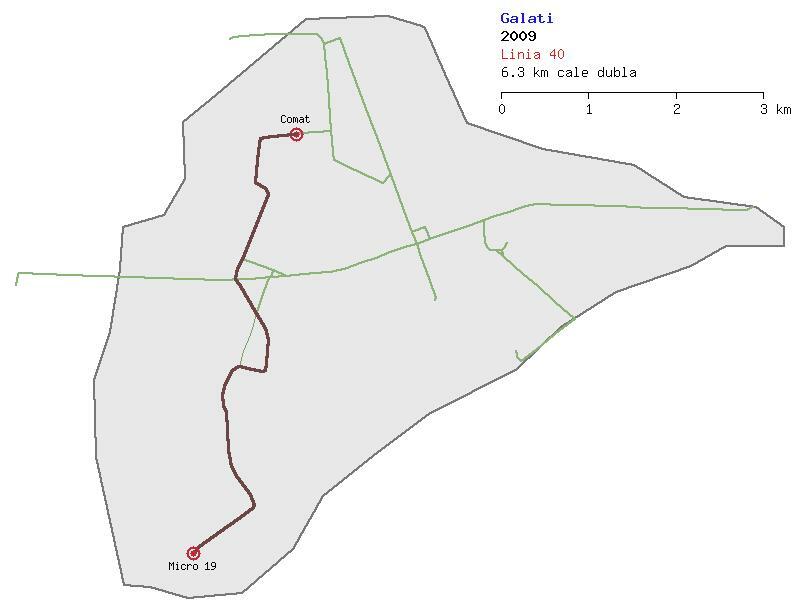 Routes: 1(4.8 km), 3(6.7 km), 5(9.8 km), 6(5.5 km), 7(6.5 km), 8(4.6 km), 35(3.2 km), 36(5.4 km), 39(8.9 km), 39b(7.9 km), 40(6.3 km), 42(8.0 km), 43(3.9 km), 44(4.7 km), 46(3.2 km), 54(6.5 km).